Disseminate a written agenda prior the call. Plan ahead and compile everything in a single document – that includes all agenda items, anticipated actions, as well as the person assigned to lead particular parts of the discussion. This way, everyone knows what to expect and prepare for. Meeting agendas may also serve as a reference for attendees to follow. Restrict agenda items to straightforward topics. Topics that have not been planned or discussed enough before the board meeting would require exploratory discussions that may risk the meeting going off on tangents. In events when complicated topics are inevitably brought up during the conference call, politely put off any decision until an in-person meeting is held to ensure a more effective resolution. As the chair of the meeting, occasionally call out attendees to ensure that they remain engaged in the discussion. According to Harvard Business Review, employees are actually multi-tasking or doing other work whilst on a conference call. Thus, it is better to be proactive than merely assuming all attendees are paying attention during the call. If you are not utilizing webcam technology in your large audience conference calls, you can keep attendees engaged by calling out names and asking for opinions, especially if the topic concerns them or their line of work. Minimize distractions and background noises by muting all lines aside from the speaker’s or presenter’s. If you’d prefer, you can also ask the attendees to mute themselves instead, so that they can unmute their line anytime they want to raise a question or clear up ambiguous explanations. Make sure that all attendees have access to visual presentations, if there are any. In situations when most attendees are in physical boardrooms and only a few telephoned in, make sure that both in-person and on-call attendees share (almost) the same meeting experience. That means all materials, like visual presentations, made available to people in the boardroom should also be accessible to those outside the office. If different offices are using webcams, remote attendees or people working from home should also be on webcams as they join the call. 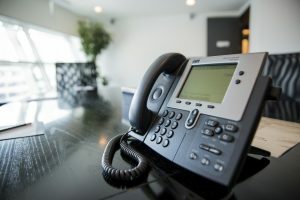 To achieve a strong conference connection and prevent mid-call disconnections in a large audience conference call is quite the challenge, yet still realistically feasible. Avoid a disastrous remote board meeting experience by using the best conference call service for large audiences that specializes in international conference calling. Aside from having a strong conferencing platform that can support hundreds to thousands of attendees at the same time, top-notch conferencing capabilities such as operator-assistance, unique passkeys, transcriptions, and video integration among many others, will be right at your disposal for a seamless and effective board meeting conference call experience.